Keep fresh water at your fingertips without multiple rinse containers or inconvenient trips to the sink! 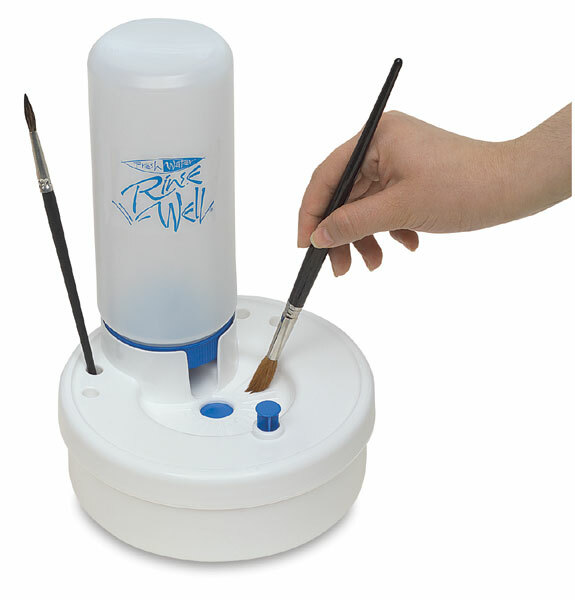 The Masterson Fresh Water Rinse Well consists of a 28 oz (840 ml) plastic water bottle, a durable plastic base with a well in the center for brush cleaning, and a reservoir to hold the used water. Press the button at the front and the Rinse Well drains the used water and automatically refills the well with a clean supply. Use with water media only. Spare Bottle — The spare bottle is for transporting water. It features a closed lid rather than a spouted lid. ® Masterson is a registered trademark.